Use a set of image and word cards to play pairs (also known as Pelmanism). You might want to get the learners to do a simple matching activity before you play, to consolidate understanding. Learners sort the cards into categories/groups and explain their choices, their reasoning and the connections between the items. The items could sort into groups, a table, Venn diagram, or flow diagram for example. Connect 4 is a bit like Bingo, but for two players, played on one board of 8x8. Players have a set of cards each, of different colors, and have to make a line of four. With cards in two piles, players take it in turns to turn over a card. If the cards match, the player who shouts ‘snap’ (or the word/phrase you are trying to practice) first keeps the cards in the pile. Sort the cards into groups, with one ‘odd one out’. Groups identify the ‘odd ones out’ and explain their reasoning. Flash cards are a simple, versatile, yet often under-exploited resource. I would like to offer some reasons for using flash cards and a selection of activities for use in the Young Learner classroom, although some of the activities could also be used with fun-loving, lower level adult classes. In this article there is one example for each type of activity. If you follow this link - Flash card activities - you will find more examples for each type of activity. · Why use flash cards? · Where to get flash cards? Howard Gardner's multiple intelligence theory reminds teachers that there are many types of learners within any one class. Gardner's research indicates that teachers should aim to appeal to all the different learner types at some point during the course. It is particularly important to appeal to visual learners, as a very high proportion of learners have this type of intelligence. Flash cards can be bright and colorful and make a real impact on visual learners. Many of the activities outlined below will also appeal to kinesthetic learners. Flash cards are a really handy resource to have and can be useful at every stage of the class. They are a great way to present, practice and recycle vocabulary and when students become familiar with the activities used in class, they can be given out to early-finishers to use in small groups. I sometimes get the students to make their own sets of mini flash cards that can be taken home for them to play with, with parents and siblings. · Buy them - Some course books provide a supplementary pack of flash cards or they can be bought in sets. · Make them yourself - If you don't have access to professionally produced flash cards, don't worry, it's really easy to make your own even if you're not very artistic. You can use pictures from magazines, draw simple pictures or copy from the internet or clip art. The most important thing is to make sure they are all of the same size, on card (different colours for different sets) so you can't see through them. If possible you can laminate the sets as you make them and they will last for years. The advantage of making your own, apart from the fact that they're cheap and yours to keep, is that you can make sets for your specific needs. You may like to make a set to use in conjunction with a story book or graded reader, or even to accompany project work. · Students make them - I have recently begun to incorporate the production of flash cards into the classroom. After introducing a new lexical set, using reality or the course book, ask students to produce the flash cards for you. Give each one an item to draw. They can be mounted on card to make the set. In this article there is an example for each type of activity. If you follow this link - Flash card activities - you will find more examples for each type of activity. · Place a selection of flash cards on the floor in a circle. · Students have one minute to memorize the cards. · In groups, they have two minutes to write as many of the names as they can remember. · Stick 9 flash cards on the board and draw a grid around them. · Use a pen or a pointer to drill the 9 words. Always point to the flash card you are drilling. · Gradually remove the flash cards but continue to drill and point to the grid where the flash card was. 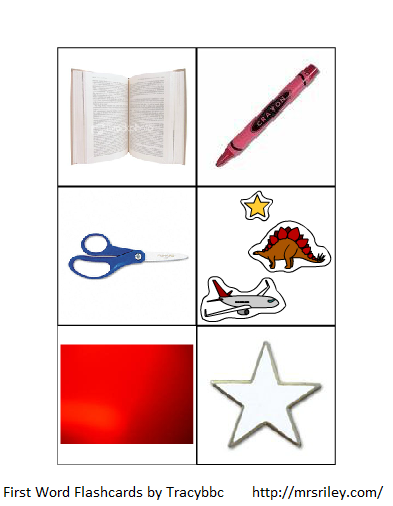 · When the first card is removed and you point to the blank space, nod your head to encourage children to say the word of the removed flash card. · Students should remember and continue as if the flash cards were still there. They seem to be amazed that they can remember the pictures. 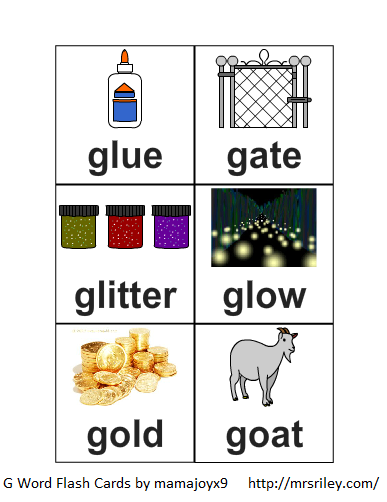 · Depending on the age group I then put the flash cards back in the right place on the grid, asking the children where they go, or I ask students to come up and write the word in the correct place on the grid. · Cover the flash card or word card with a piece of card and slowly reveal it. · Students guess which one it is. · Once the card is shown, chorally drill the word with the group using different intonation and silly voices to keep it fun. Vary the volume too, whisper and shout the words. Children will automatically copy your voice. · Alternatively, flip the card over very quickly so the children just get a quick glimpse. · Repeat until they have guessed the word. · Stick flash cards around the class. · Say one of them and students point or race to it. · Students can then give the instructions to classmates. · You can extend this by saying "hop to the cat" or even "if you have blonde hair, swim to the fish" etc. 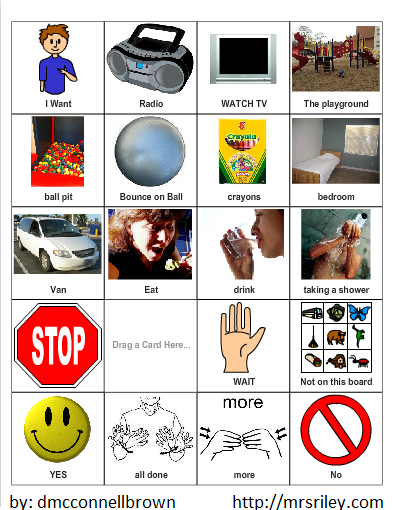 · You can also incorporate flash cards into a game of Simon Says. "Simon says, jump to the T-shirt" etc. Choosing which communication strategy to use depends on the person’s hearing, vision, and language skills; cognitive abilities; comfort; and assessment of the risk. The more methods that the person can use skillfully, the easier communication with the public will be. People who are deaf-blind can communicate with the public through gestures, in writing (prepared or ad hoc), orally (spoken or prerecorded), or by presenting symbols and pictures. The public can respond to the person who is deaf-blind by tapping the person on the arm or shoulder, some form of written messages (e.g., printing on the palm of the hand, using devices such as an alphabet card, writing on paper), speaking, presenting yes or no signals, and exhibiting actions or behaviors. Generic cards and tools are not always effective. The design of the communication should match the physical and cognitive needs and skills of the person who is deaf-blind and provide the public with quick and easy ways to respond. For example, cards may be made that assist a person who is deaf-blind to arrive at certain destinations; that guide him or her to the counter at a store or business, to a certain bus, across a street; or that provide certain assistance on a train or airplane. The variety of cards and messages that can be created is as endless as the list of specific needs of these travelers. Some situations require a communication tool that provides the public with a limited choice of responses: for the person who is deaf-blind and has limited understanding of English or to communicate with people who have limited time, such as bus drivers or salespeople. Communication cards can be developed for multiple purposes. A card may have a variety of labels that can be attached with Velcro to complete a sentence, such as “Please guide me to the (insert the name of a store or business)” or “I would like to order (insert a food item).” In Seattle, people who are visually impaired can flag buses by using tools in which the number of the bus is inserted into a clear plastic sleeve. How early should we start intervention? To put it simply, intervention should start as early as possible. When parents begin to notice their child is not developing as expected and they voice these concerns, a common response is “They’ll grow out of it, just wait”. Unfortunately, the longer you wait the more difficulty you and your child may have. If you are concerned about your child’s development, whether its their communication, social skills or behaviors, then you should begin seeking information and assistance as soon as you can. The earlier a problem is identified, the earlier intervention can begin, and the more likely your child is to learn the skills they need to communicate, engage in social interactions and manage their behavior. If you’re still waiting for an official diagnosis, you shouldn’t be waiting to start intervention. If you think there is something that needs to be addressed, get the information, services and training you need to address it. Why start intervention so early? Research shows that children who receive intensive early intervention services are more likely to have improved long-term outcomes. These services can maximize their learning potential by addressing communication, play, problem behaviors and overall skill development from a very early age. We know, through extensive brain research, that neural plasticity (the brains ability to learn new skills) decreases with age. When children are very young their neural plasticity is high, but as they get older it decreases. When this plasticity decrease, it becomes more difficult to learn new skills. This is not to say that individuals with autism are not able to learn skills if intervention is not started by a certain age. Their brains, just like everyone elses, are capable of learning and using new skills and information at any time. Behaviorally speaking, however, as we all age and grow the skills we have learned which are effective and efficient will be more difficult to change due to a longer history of reinforcement. So the earlier we intervene to address an individual’s difficulties with communication, social interactions and problem behaviors the more likely we are to elicit quick and positive change. I can’t stress strongly enough the importance of diving into action immediately. Every expert in the field agrees that early intervention is essential and critical. The “wait and see” approach is detrimental to your child. Children with autism tend to avoid things that are difficult, and communication is difficult for them, so they avoid situations where they might be expected to communicate. As a result, they become more isolated and withdrawn. So it’s critical that you get a program started right way. How much intervention should my child receive? Research suggests that children should receive 25-40 hours of intensive early intervention per week. While this may seem like an extraordinary amount of time for a child, this intensity of intervention has been shown to be the most effective in addressing the needs of children. Intervention hours may be provided by ABA therapists, speech therapists, occupational therapists, parents or other family members (after receiving training on intervention implementation) or other service providers. In an ideal situation, intervention procedures should be implemented throughout the day, across settings and across people with whom the child interacts. This intensity and consistency of intervention can help catapult a child to success. The basic goals that should be addressed with early intervention are child engagement, independence, functional spontaneous communication, cognitive skill development, social competence, play skill development, generalization of skills, and proactive approaches to problem behavior. The specific goals for intervention will be based on the child’s chronological age, developmental level, specific strengths and weaknesses, and the needs or priorities of their family. What interventions are available and most effective? There is no single treatment protocol for all children with autism, but most individuals respond best to highly structured behavioral programs. The National Institute of Child Health and Human Development lists Applied Behavior Analysis among the recommended treatment methods for autism spectrum disorders. Some of the most common interventions are Applied Behavior Analysis (ABA), Speech and Language Therapy, Occupational Therapy, PECS, AAC, Sensory Integration Therapy and the school-based TEAACH method. Behavior analysis is a natural science of behavior that was originally described by B.F. Skinner in the 1930′s. The principles and methods of behavior analysis have been applied effectively in many arenas. For example, methods that use the principle of positive reinforcement to strengthen a behavior by arranging for it to be followed by something of value have been used to develop a wide range of skills in learners with and without disabilities. Since the early 1960′s, hundreds of behavior analysts have used positive reinforcement and other principles to build communication, play, social, academic, self-care, work, and community living skills and to reduce problem behaviors in learners with autism of all ages. Some ABA techniques involve instruction that is directed by adults in highly structured fashion, while others make use of the learner’s natural interests and follow his or her initiations. Still others teach skills in the context of ongoing activities. All skills are broken down into small steps or components, and learners are provided many repeated opportunities to learn and practice skills in a variety of settings, with abundant positive reinforcement. The goals of intervention as well as the specific types of instructions and reinforcers used are customized to the strengths and needs of the individual learner. Performance is measured continuously by direct observation, and intervention is modified if the data show that the learner is not making satisfactory progress. Regardless of the age of the learner with autism, the goal of ABA intervention is to enable him or her to function as independently and successfully as possible in a variety of environments. The communications problems of individuals with autism vary to some degree and may depend on the intellectual and social development of the individual. Some may be completely unable to speak whereas others have well-developed vocabularies and can speak at length on topics that interest them. Any attempt at therapy must begin with an individual assessment of the child’s language abilities by a trained speech and language pathologist. Though some individuals with autism have little or no problem with the pronunciation of words, most have difficulty effectively using language. Even those children who have no articulation problems exhibit difficulties in the pragmatic use of language such as knowing what to say, how to say it, and when to say it as well as how to interact socially with people. Many who speak often say things that have no content or information. Others repeat verbatim what they have heard (echolalia) or repeat irrelevant scripts they have memorized. Some individuals with autism speak in a high-pitched voice or use robotic sounding speech. Two pre-skills for language development are joint attention and social initiation. Joint attention involves an eye gaze and referential gestures such as pointing, showing and giving. Children with autism lack social initiation such as questioning, make fewer utterance and fail to use language as a means of social initiation. Though no one treatment is found to successfully improve communication, the best treatment begins early during the preschool years, is individually tailored, and involves parents along with professionals. The goal is always to improve useful communication. For some verbal communication is realistic, for others gestured communication or communication through a symbol system such as picture boards can be attempted. Periodic evaluations must be made to find the best approaches and to reestablish goals for the individual child. Occupational Therapy can benefit a person with autism by attempting to improve the quality of life for the individual. The aim is to maintain, improve, or introduce skills that allow an individual to participate as independently as possible in meaningful life activities. Coping skills, fine motor skills, play skills, self help skills, and socialization are all targeted areas to be addressed. Occupational therapy is usually part of a collaborative effort of medical and educational professionals, as well as parents and other family members. Through such collaboration a person with autism can move towards the appropriate social, play and learning skills needed to function successfully in everyday life. PECS is a type of augmentative and alternative communication technique where individuals with little or no verbal ability learn to communicate using picture cards. Children use these pictures to “vocalize” a desire, observation, or feeling. These pictures can be purchased in a manualized book, or they can be made at home using images from newspapers, magazines or other books. Since some people with autism tend to learn visually, this type of communication technique has been shown to be effective at improving independent communication skills, leading in some cases to gains in spoken language. A formalized training program is offered through a company called Pyramid Products, and this program takes the caregiver and child through different phases. However, this manual is not the only source of training and resources. Images may be obtained through magazines, photos, or other media. In Phase one, a communication trainer works with the child and their caregivers to help decide which images would be most motivating. For example, images food may elicit the strongest response. Cards are then created (or provided through a pre-made book) with those images, and the trainer and the caregiver work with the child to help him or her discover that, by handing over the card, they can get the desired object. In Phase two, the caregiver then moves farther away from the child when showing the picture, so that the child must actually come over and hand over the card to receive the food reward. This process engages the child’s ability to seek and obtain another person’s attention. In this way, a full vocabulary and methods for using these new words are taught to the affected individual. In later phases, children are given more than one image so that they must decide which to use when requesting an item, and throughout the process the number of cards grows and thus the child’s ‘vocabulary’ also increases. Over time, the child may develop the ability to use sentences, including phrases like “I want” to start off the sentence, and even use descriptors like “large” or “red”. Throughout the process, which may take weeks, months or years, the caregiver gives constant feedback to the child. It is thought that by allowing children to express themselves non-verbally, the children are less frustrated and non-desirable behavior including tantrums is reduced. Experts have tried many methods to support language learning in these kids, with varying effectiveness. Now, a new study finds that early interventions aimed at developing natural language and mirroring the motor skills of other people may be most effective.